It’s the assignment that I knew was coming. 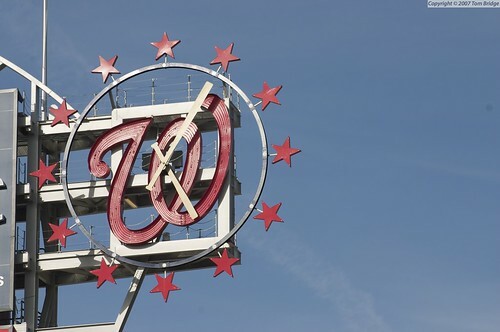 “Why do you love, D.C.?” That’s the requirement for writing here at We Love D.C. (loving D.C., that is, not prose, but I digress), so I’m happy to oblige. One role I pride myself upon is that of storyteller, and that’s how I plan to approach this. My M.O. for the next 700 words or so is as follows: I’m starting with Henry David Thoreau, I’m ending with a fairy tale, and I’m including at least one piece of live music. I went to the woods because I wished to live deliberately, to front only the essential facts of life, and see if I could not learn what it had to teach, and not, when I came to die, to discover that I had not lived. It’s funny, because when I sat down to write this, I was reminded again that DC was definitely not the plan when I was making decisions about college, and yet, here I am. Rewind to my senior year in high school. 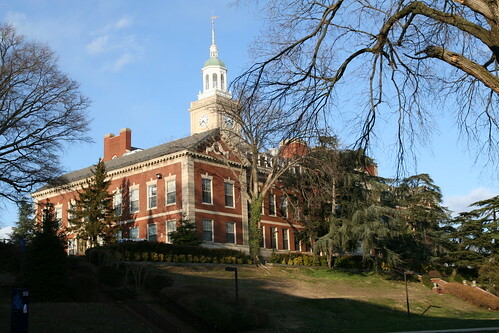 I was set on a school in the midwest, and even though I had applied to Howard, I have to admit I was petrified of moving so far away from home. What I didn’t know then is that, five years later, I wouldn’t regret that application at all. I can’t tell you why I picked DC. People ask me this question all the time when they first meet me and I just don’t have a ‘real’ answer. Was it because of the political scene? Nope, I was about to enter a Masters program for Interior Design. Was it because I had family here? That would be another negative. I got it; it must be because of the weather, right? I am glad to say once again that weather was not the reason why I wanted to move to DC (perhaps on some subliminal level I foresaw the impending snow storms of 2009/2010). The best answer that I can offer you is that I believe it was just a feeling that brought me here – a feeling that has since developed into a full-blown love affair. I admittedly love DC, first and foremost, because it feels partly mine. I picnicked in its triangular parks as a wee one (our downtown visits allowing my dad an excuse for an office reprieve); I’ve played tourist around its sites on countless field trips with classmates and relatives; I’ve frolicked along its brick sidewalks as a college student for the first time unleashed, unsupervised, in a big urban world. So, yes, it is familiar and yes, some of my favorite people of all time still call this place home. DC is indelibly etched into the story of what makes me me. But sweep all that personal history to the side, and I can see this magnificent city as if through the eyes of a visitor (in fact, my job insists that I do). I recognize its allure for tourists and locals alike, and I’m grateful to have roots in a city that keeps me coming back for more. Perhaps, more than anything, I love that a city stroll can take me on a global walkabout. A challenging game of name-that-flag along Embassy Row sends me past an exquisite tiled mosque, distinctive ambassadorial residences and multilingual, wide-eyed diplomats exploring their new ‘hood. In Mount Pleasant, with Mana playing on my iPod, I pass chatting men on overturned crates as impromptu vendors sell tamales nearby, and the sights, sounds and smells temporarily transport me to Latin America. Within a fifteen-minute bubble of my home, I can eat amazing Ethiopian food cooked by Ethiopian chefs, Thai cooked by the Thai, Peruvian cooked by Peruvians. Authenticity rules our culinary scene. And I love that, at certain dinner parties, I might meet new friends who’ve come from or lived in countries like Bulgaria and Brazil, Martinique and Morocco. 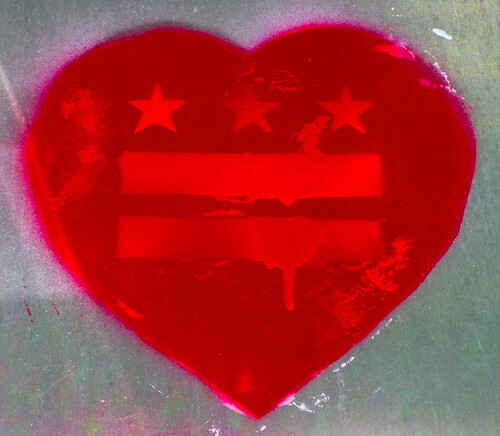 Now that I’ve joined the ranks as an author here at WeLoveDC, it’s time for me to prove that I do, in fact, love DC. No more just talking the talk, it’s time for me to walk the walk (er, write the write?). It’s a bit of a rarity in this area, but I actually grew up in the DC metro region; though not what you may think of as DC. I hail originally from the quaint little towns of Shepherdstown and Harpers Ferry. That’s West Virginia. And while 70 miles out of the District, it’s still technically part of the DC metro. Full of natural beauty and more American history than you can shake a stick at, I grew up loving the outdoors and the history that surrounded me. It’s an urban planner’s dream. Vibrant public spaces, sidewalks filled with pedestrians, revitalization, mixed use development close to transit, beautiful architecture, and downtown attractions that keep people here after the 9-5 workday are what makes this city a prime example of excellent urbanism. There are only a handful of American cities that are even in the same league. Sure, it’s got its problems, but the District is doing a lot of things right and is creating great places to live, work, or play. Also, DC lets this urban planner live her dream. I live three blocks from my office, I don’t own a car because I can walk to four Metro stations, I’m within a few blocks of great restaurants and shopping, I’m a quick jog from Rock Creek Park, and I have a breathtaking view of the city from my rooftop patio. I don’t know another American city where I could have all of that. 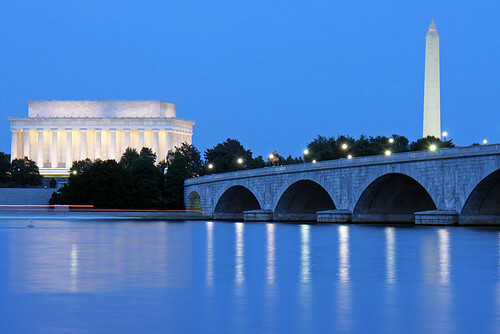 DC is full of history, myths, and legends. Sure, half the legends about the city are not true, and probably 95% of what you hear on a Capitol tour is probably made up, but they make for great stories. It’s pretty cool to live in a city full of historical significance, and to be able to show out-of-town friends our city (even if we avoid the national monuments and memorials at all other times). It’s also a great feeling to be a part of DC’s ongoing history– I know I will someday tell my grandkids about what it was like to be in Washington during Barack Obama’s inauguration. 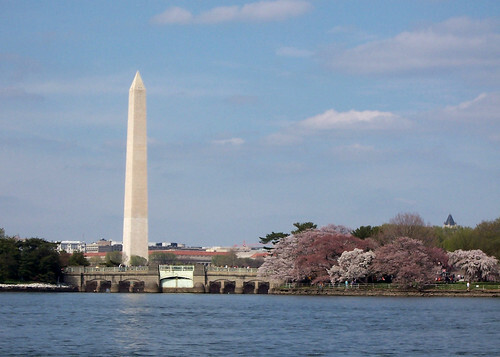 All the authors here at We Love DC have written essays on why they love DC. As one of the newbie authors, I was asked to follow in the same tradition. 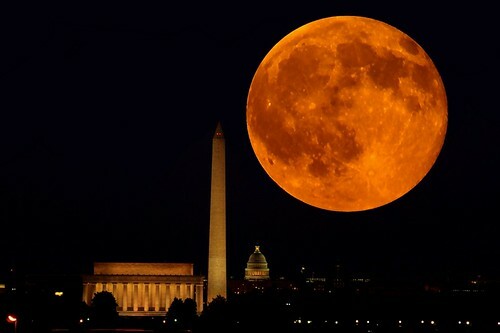 So here it is, why I love DC. Post-college all my art school and college friends headed for New York. I, instead, decided on DC. People always asked, “Why DC, what is it about DC?” and I always would respond “Well, because it’s not New York.” Which, still, to this day, works as a great reason to love DC. I would argue that we have as many fabulous museums here, as many great free cultural things to do, yet DC is decidedly NOT New York. New York makes me claustrophobic. The streets are so busy, the sky so crowded with buildings, the hustle and bustle more hustle than bustle. I get overwhelmed there, sensory overload, too much, too fast. I like New York in small doses, but never in long, extended stays. It hits you hard, and doesn’t stop. That is fine for my college friends, but not for me. 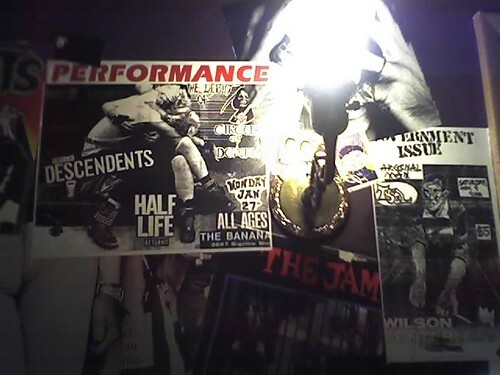 Hallway, Rock and Roll Hotel. Photo credit: Jenn Larsen. I came to DC on a whim, an instantaneous attraction. 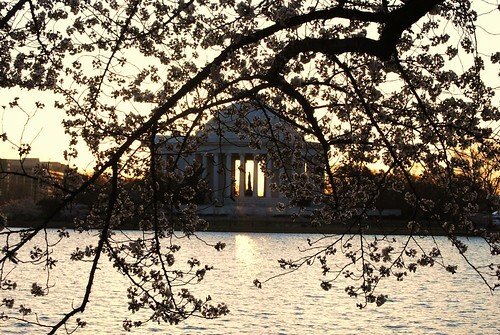 Initially the classicist in me was drawn to the cool solemnity of the federal architecture, the romantic to the cherry blossoms. But the pragmatist could see the long-term benefits, and so here I am, after nineteen crazy years. I grew up thirty minutes outside what many people consider to be “THE City” – New York, naturally – but when it came time to go to college there, I balked at it, even though it was the pragmatic choice for a drama student. I also resisted the lure of that other Nor’eastern city, Boston, the classical choice for a chowda-oysta-slurping Yankee. 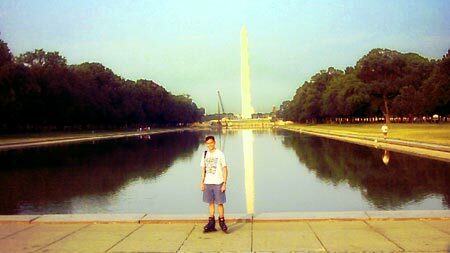 Above: The author poses by the Reflecting Pool shortly after arriving in DC, some years ago. Note the in-line skates. Before I came to Washington from the Philippines, most of my experience of America had been limited to occasional summer vacations in suburban California, so my general impression of U.S. cities was of vast pockets of sprawl connected by freeways, the isolation broken only by strip malls and Disney theme parks. Go ahead and laugh it up when I say this, but my first day after moving to DC (note how I called 16th St NW an “avenue”), the discovery that a city — any city — could be a livable, walkable, [somewhat] affordable place blew me away after a mostly-sheltered life living in a gated subdivision in Manila. This is the first of a series of posts from our authors, designed to give you a peek into who we are, beyond what you’ve read from us in the past. We’ll be featuring two authors a day for the next week in this space, as well as our usual features. We hope you enjoy! 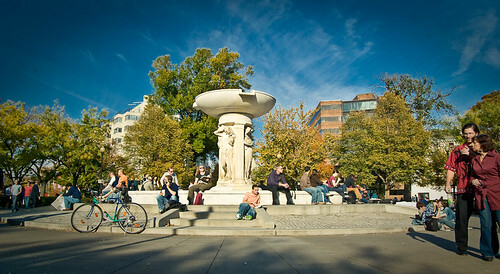 I never intended to fall in love with DC.